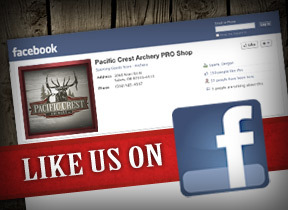 We offer two shooting experiences at Pacific Crest Archery. We have an indoor 20-yard target range, wich is great for tuning and sharpening your skills… and we offer the DART Target System. The DART system was designed so hunters and archery enthusiasts can improve their shooting skills with life-like hunting situations, projected in live motion on a 12 x 12′ screen. 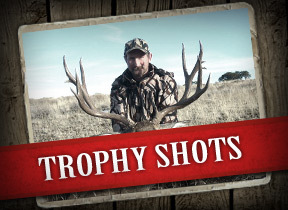 Select from our library of possible hunts like; African Safari, Alaskan Adventure, Screaming Elk, Monster White tails, etc. and refine your hunting skills. Each shot is scored and your success is displayed throughout the round. The Dart system is the best way to keep your skills honed for next years big hunt, or to get your feet wet with hunting situations… without getting your feet wet. In the winter season, Pacific Crest holds their indoor leagues using this system, and over the past several years, they been able to award the top shooter with a new bow. Few things compare to shooting a bow, so come on down to Pacific Crest and let us help you get fitted with the right equipment and start enjoying the comaraderie, competition and rewards of archery.